Many of you have contacted us to learn how NCH is responding to the Food and Drug Administration (FDA) Draft Guidance issue. We have appreciated your patience as NCH worked along with the American Association of Homeopathic Pharmacists (AAHP) and other organizations to determine an effective response to this serious situation. NCH has been following the guidance of the AAHP as they are familiar with the regulatory requirements for manufacturing and have a long history of working within the FDA regulations. AAHP also has an active expert Legislative and Regulatory Committee and a dedicated lobbyist in Congress. Purchase both together and receive 25% off. Deadline to Vote for candidates is February 22, 2018. You must be a current NCH member to vote. Register by Friday, February 16th and lock in your lowest possible rate for this year's conference. Save over $80 in fees! 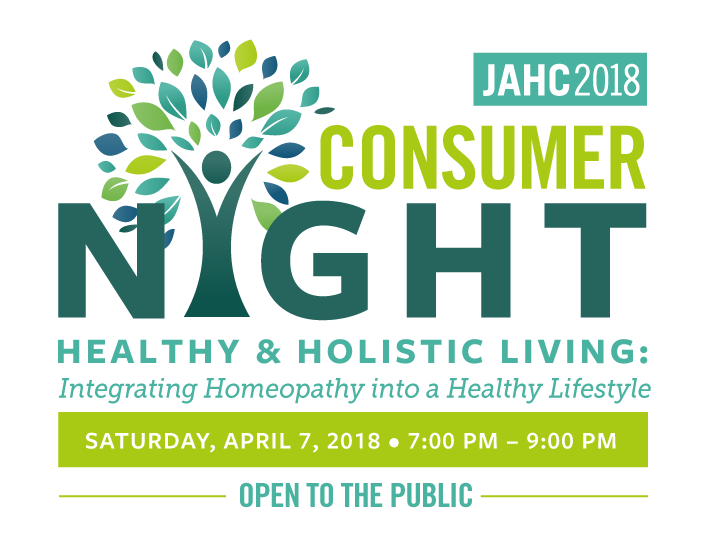 A relaxing night of fun and knowledge of effective healthy, holistic and homeopathic treatments for everyday use. Speak with exhibitors and local vendors to learn more about products to support your healthy lifestyle. In addition to networking opportunities, we will also be hosting Fireside Chats. This event is sponsored by Hahnemann Labs and is open to the public. 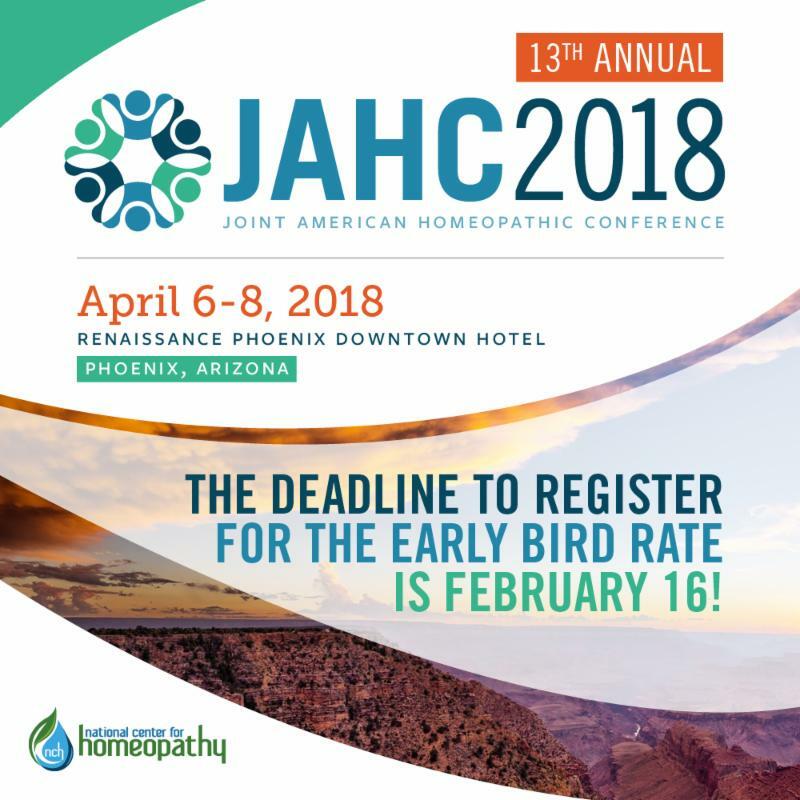 Have questions regarding the upcoming JAHC 2018 Conference in Phoenix? Who are the speakers? What exhibitors will be there? How can I get my credits? 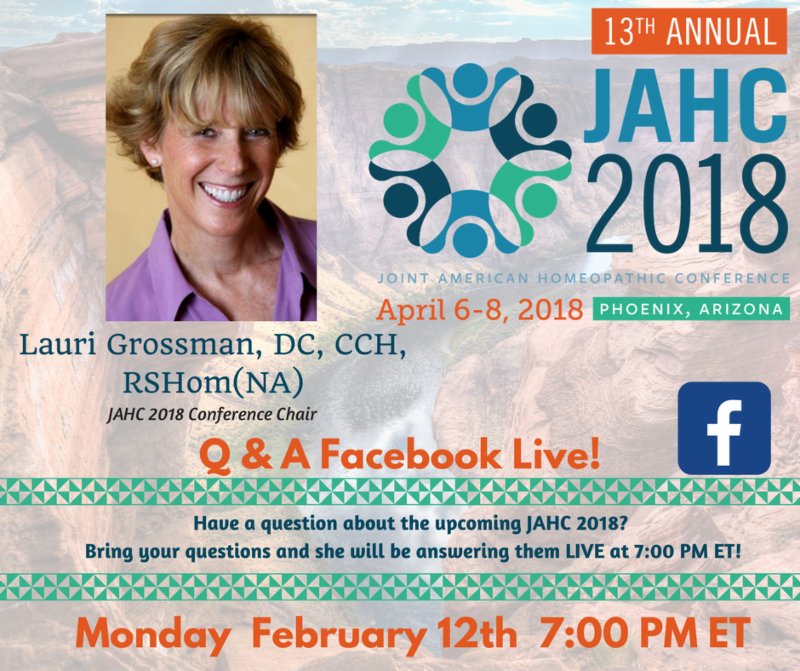 Lauri Grossman will be answering all of your questions LIVE on Monday, February 12, 2018 at 7:00 PM ET. NCH is excited to be collaborating with the American Institute of Homeopathy (AIH) to provide you with access to homeopathic research. You can access studies have been selected to demonstrate the different types of homeopathic research and some of the important research findings in support of homeopathic medicine. The members of the American Institute of Homeopathy (AIH) are currently working with the American Association of Homeopathic Pharmacists (AAHP) to provide the FDA and members of Congress with input on the FDA’s latest proposal on the regulation of homeopathic remedies. It is the position of the AIH that the vague proposed new guidance, which is no real guidance at all, provides FDA with NO authority that it does not have today under the existing regulations. Members of AIH are working hard to remind the FDA that regulatory enforcement discretion without clear guidance on what is legal and within bounds quickly becomes arbitrary and capricious. AIH holds that unlike the FDA’s new proposal, the current FDA Compliance Policy Guide (CPG) on homeopathic remedies (“Conditions Under Which Homeopathic Drugs May Be Marketed”), established clear, measurable, and enforceable standards for the manufacture and sale of homeopathic drugs in the United States. The FDA originally adopted the current guidelines in 1988 to eliminate the confusion that existed concerning what could and could not be sold as a homeopathic drug. The CPG has contributed significantly to improving cost, quality and access to safe homeopathic drug products that provide consumer choice for the American population. 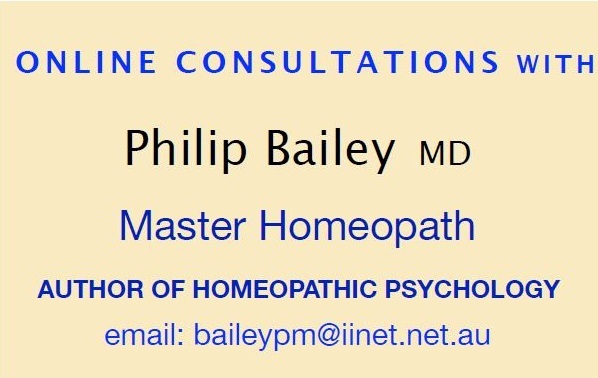 is dedicated to promoting, representing and serving as the voice of all professional homeopaths in North America. NASH aims to develop and uphold the highest level of excellence in homeopathic practice while enhancing the role of the homeopathic profession as an integral part of health care delivery. In 2014, The Council for Homeopathic Certification announced the changes in criteria for exam eligibility requirements to take effect beginning January 2018. A minimum of 500 hours of preparation in the theory and foundations of homeopathy and 250 hours clinical training completed in a school that is fully accredited or through a program that is approved by ACHENA or the CHO. For education obtained outside of the US or Canada, WES-evaluated transcripts must be submitted and deemed to be at least equivalent. website for information about ACHENA-approved/accredited or CHO approved programs. Registration for the April exam will begin February 1, 2018 and close on March 18, 2018. The exam is offered Monday through Friday, April 2 through April 30, 2018.
or by phone at 866-242-3399. Annual recertification is required (via the CHC online process) for continued use of the CCH credential. All recertification requirements (CEUs, Attestations, Contact Information Verification/Update, and Payment) must be met to remain in good standing. A minimum of 15 CEUs are required for each re-certification. CEUs in excess of the required 15 will carry over to the next re-certification cycle. Excess CEUs may carry over for one year only. Continuing Professional Development (CPD) page. The CHC provides links to CEU/CPD opportunities and events as a service to our certificants. The CHC does not endorse nor have responsibility for any misinformation contained in these links. Rally Congress - Show Your Support! Both Reps Polis and Coffman are committed to making information on prevention, health creation and integrative health therapies available within federally funded health programs and directly to US consumers. They believe integrative health approaches can provide effective and low-cost care for many chronic conditions and should be accessible to all Americans. Having a congressional caucus devoted to integrative health and wellness raises the conversation to the national level and is especially important in these times, as the opioid use issue has become a “national health crisis.” As well as being a conduit for information, caucuses are where pre-legislative issues can be discussed, fine-tuned, and promoted for wider support. It is in the best interest of homeopathy, its practitioners, and consumers to support this group as we grow and participate in the integrative health and wellness arena. Help the homeopathy community support the Integrative Health and Wellness Caucus. Contact your US House and Senate Legislators and urge them to participate! The discussion will focus on the proposed FDA guidance and what the homeopathic community should be doing in response. It can be a frightening experience when your child wakes in the night with a violent cough. Learn how to distinguish between common childhood coughs, and what you can do at home to effectively bring rapid relief to the sufferer. Kim will discuss why we cough, important symptoms to observe, and how to treat coughs using a web-based remedy finder application called Homeopathic HouseCall, as well as common Homeopathic remedies for coughs.